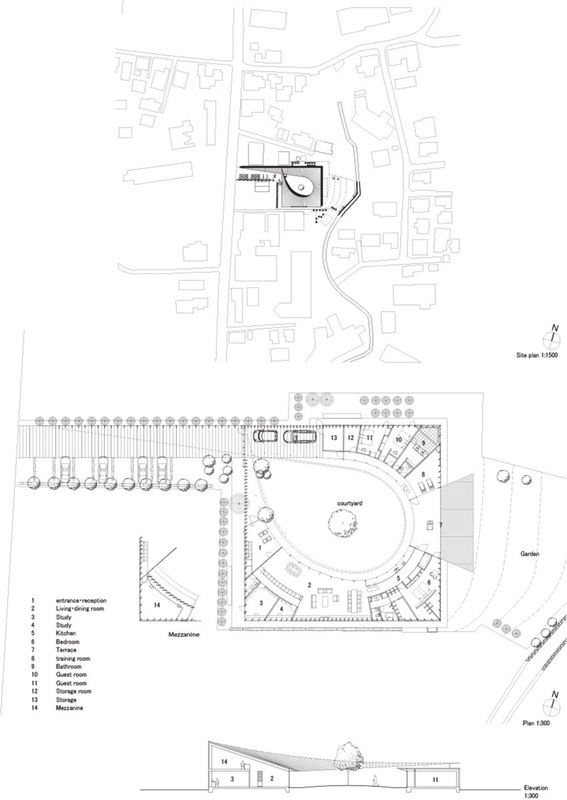 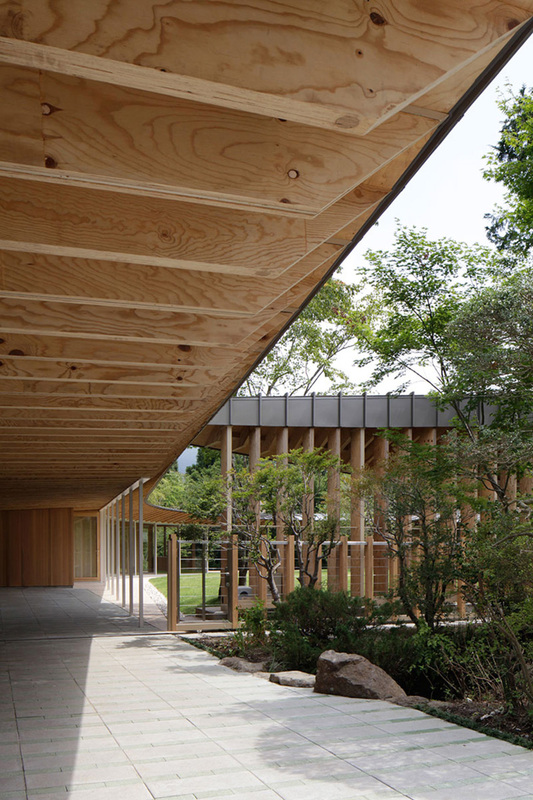 The 2 storey wood structure residence is situated on a flag pole shaped site, 30m square in plan with a 15 meter diameter interior courtyard. 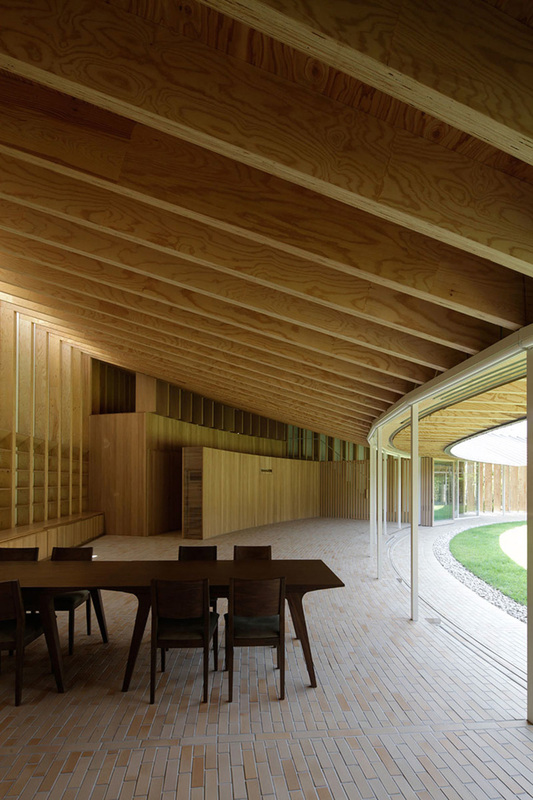 With the main living room centered on the interior courtyard, all spaces are arranged in a radial manner from the entrance. 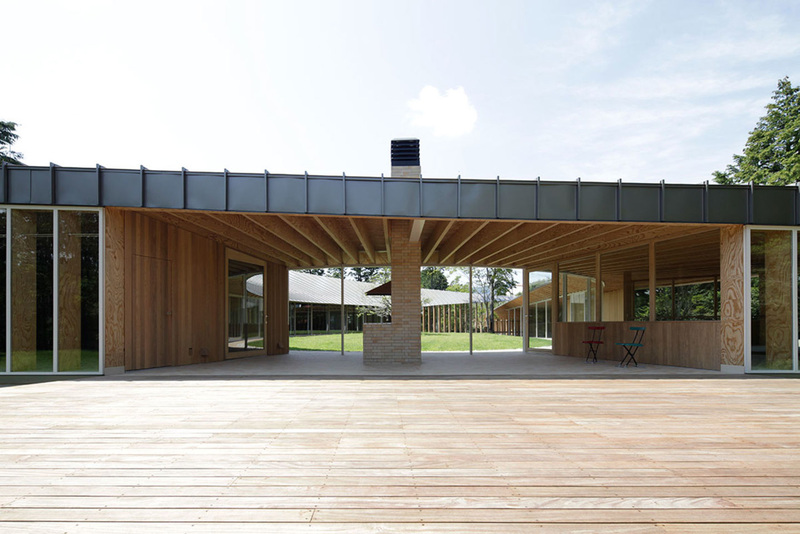 The 8 sliding doors separating the main living room and interior courtyard can be opened at any time so that the space can be used as one. 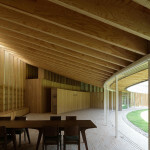 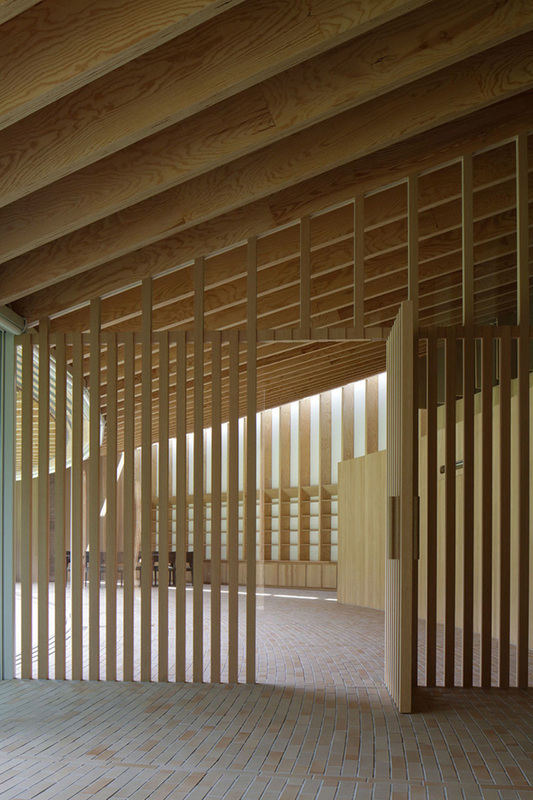 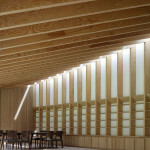 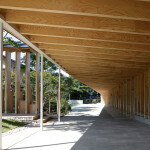 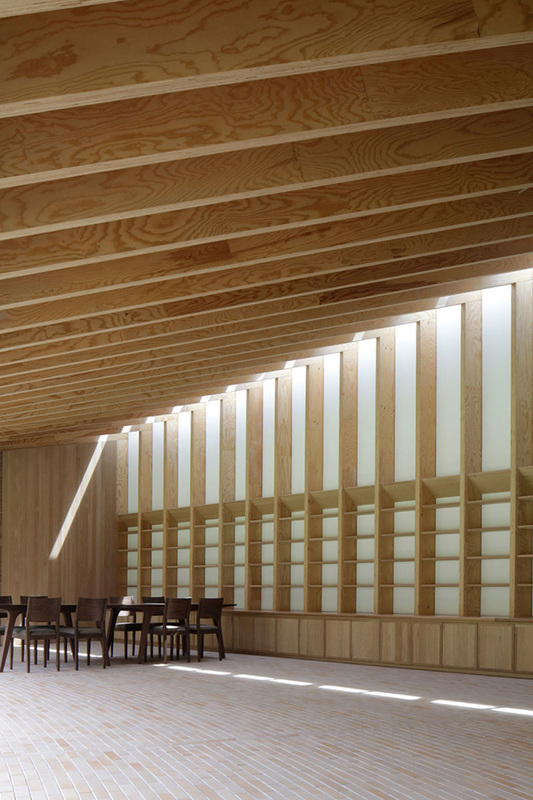 The structure is made up of wooden columns and beams, which are 75mm x 350mm L-shaped pieces, also arranged in a radial manner, creating a large one way sloped roof. 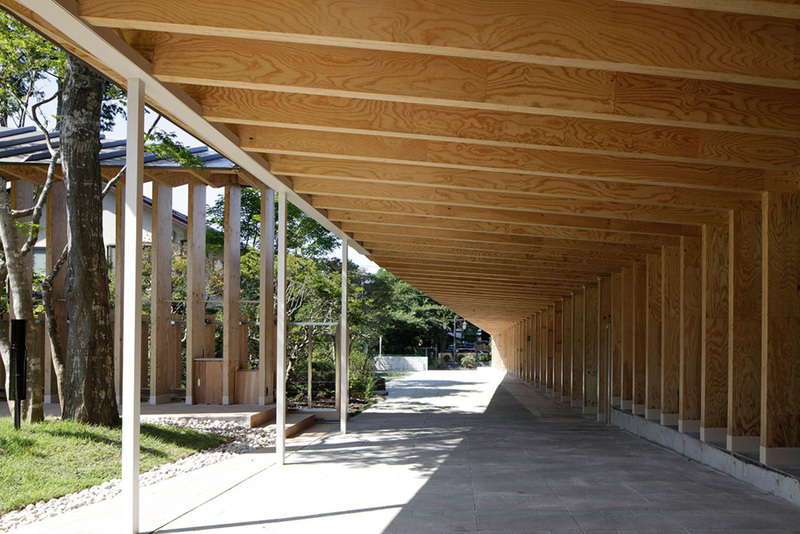 The large roof varies in height, achieving ceiling heights between 2.4 meters to 7.5 meters. 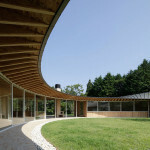 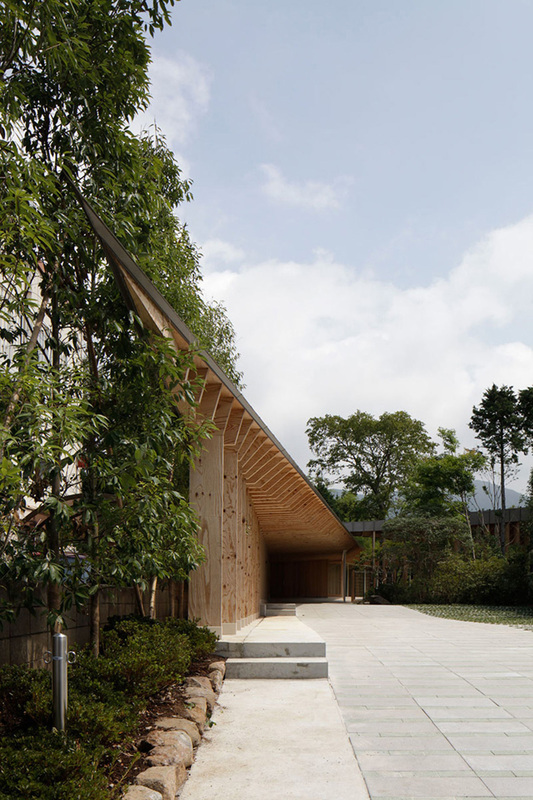 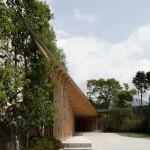 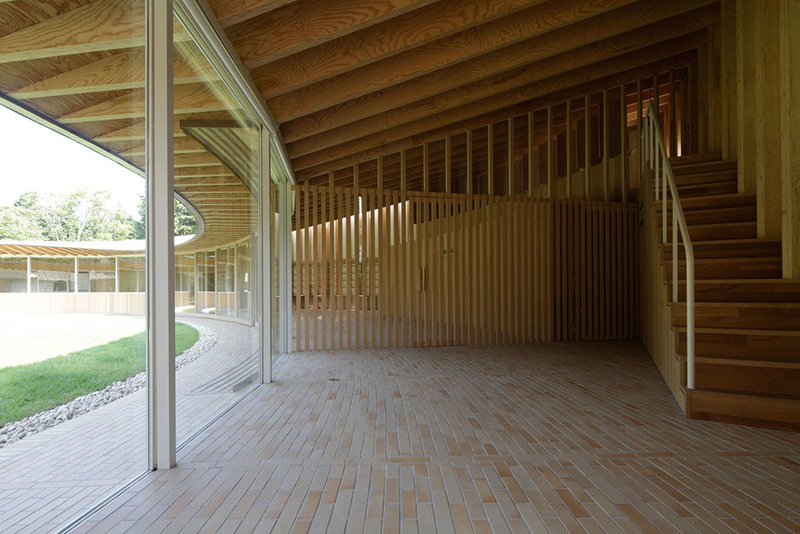 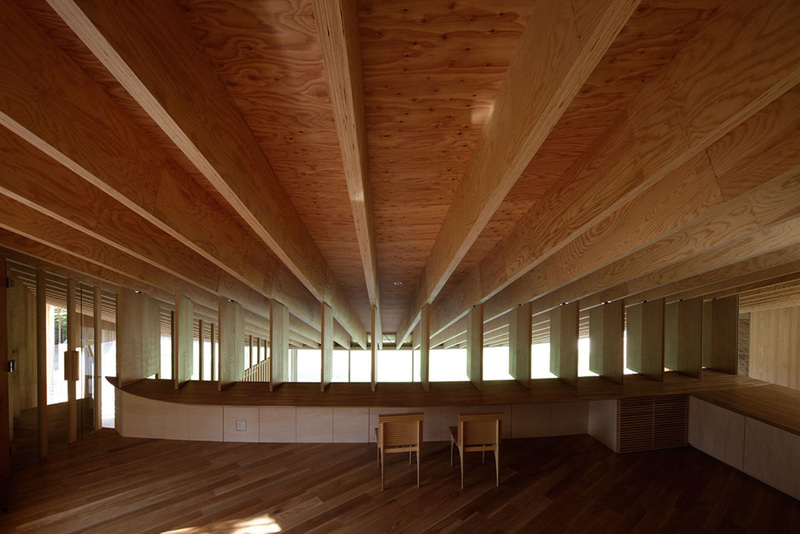 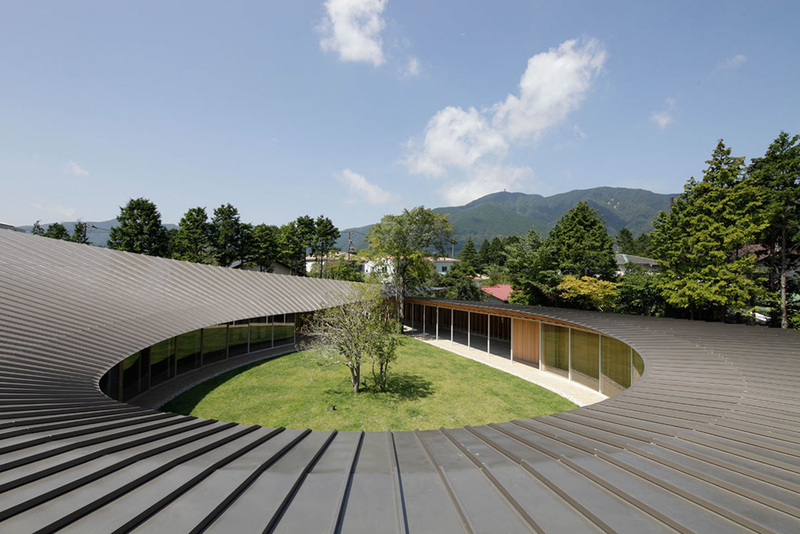 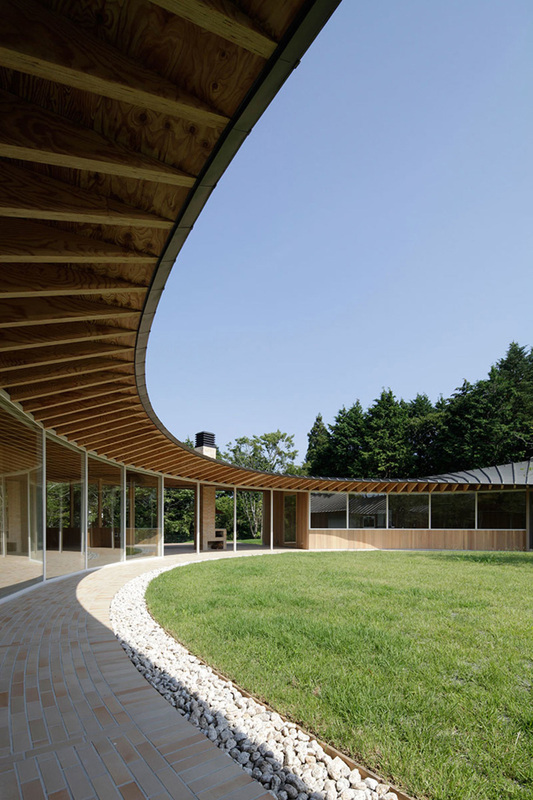 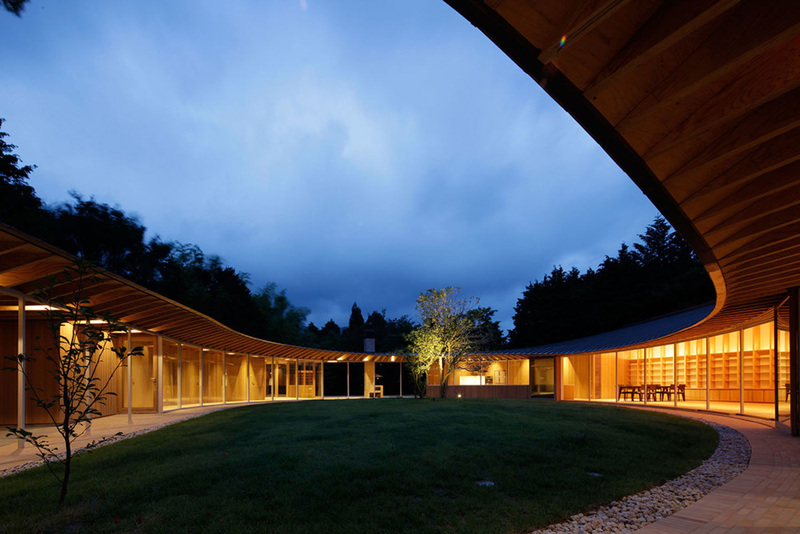 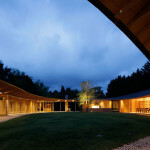 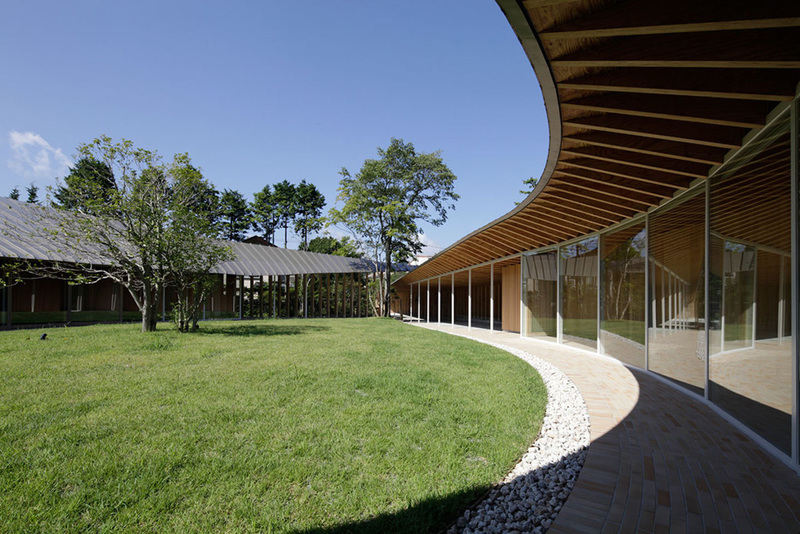 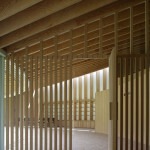 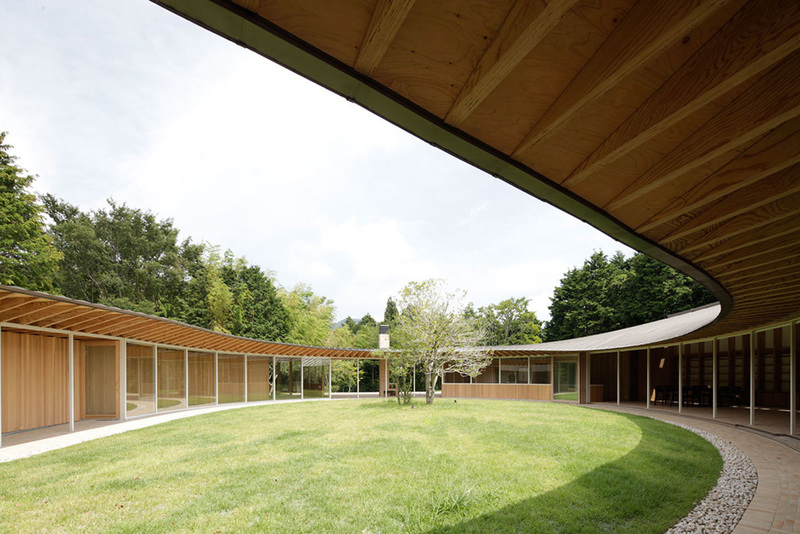 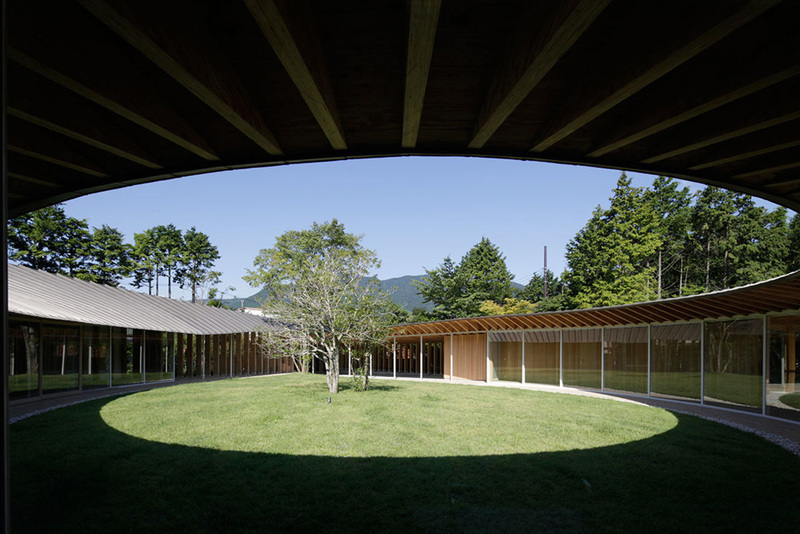 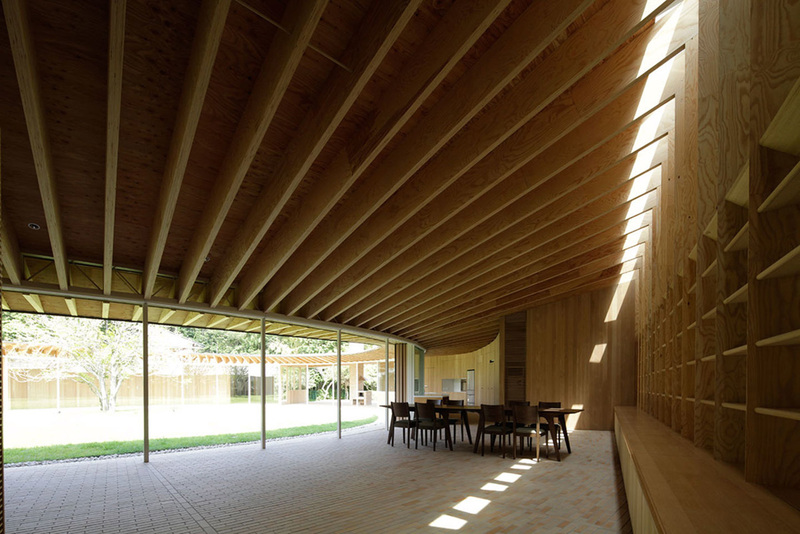 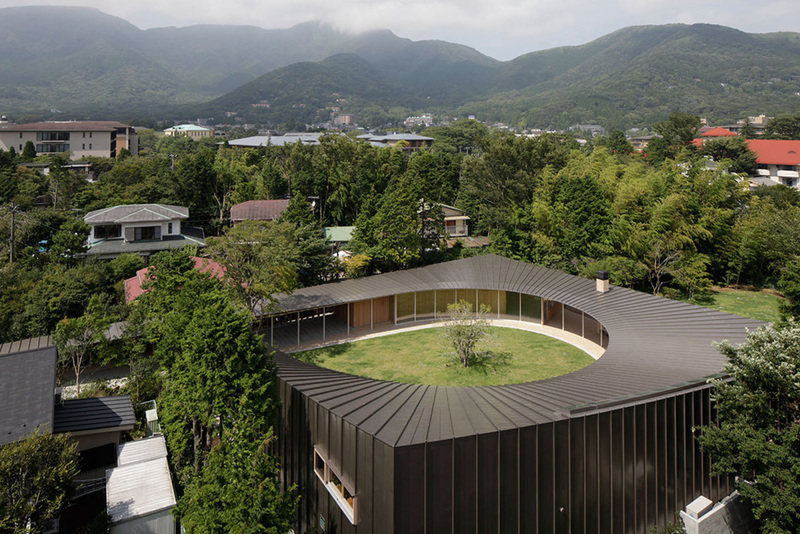 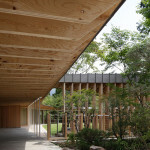 Cite this article: "Villa at Sengokubara / Shigeru Ban," in ArchEyes, April 3, 2016, http://archeyes.com/villa-sengokubara-shigeru-ban/.